STT followers might have twigged to our sense of irony which, on the odd occasion, drifts all the way to sarcasm. Sometimes a wry line requires considered imagination. But, other times, this stuff literally writes itself. This saga from Saga in Japan is almost too funny for words. 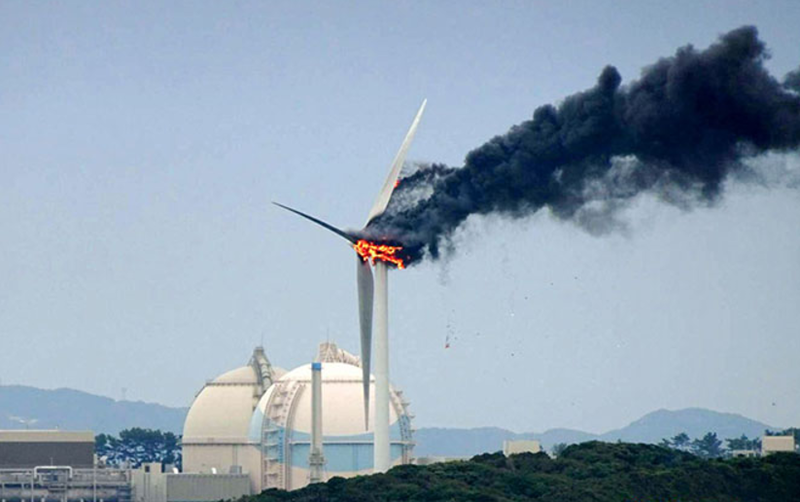 Anti-nuke scaremongers rave on about the purported dangers of nuclear power, all the while pumping up the ‘clean, green’ credentials of their beloved wind turbines. Anyone with the temerity to point to some of the obvious dangers of these things is either forced to wash their mouth out with soap or called a right wing fu@*wit. To the wind power propagandists that determined to locate a giant wind turbine right next to a nuclear power plant, their strategy must have seemed like a stroke of genius, at the time.